With more sophisticated buying come more sophisticated buyers. With buying decisions taking place higher and wider in most organizations, salespeople increasingly find themselves selling to more senior managers across a number of functional areas. This can pose challenges. Most traditional sales techniques presuppose that the seller knows more than the buyer. However, this does not fit with reality in respect of most complex buying decisions. Often those doing the buying have more grey hairs, more experience and more impressive resumes than those that are doing the selling. They know more about their businesses and their industries than the salesperson could possibly know and if they don’t know it themselves, then they have access to a wide array of sources (analysts, consultants, etc.) to find out. He, or she runs the risk of underestimating the buyer and getting caught out as a result. The seller who treats the buyer as dumb can quickly find him, or herself on the outside looking in. Ask more questions and make fewer bold statements and claims. For example, rather than stating ‘you should be aiming to cut costs by 35% by employing this technology’ ask instead ‘what type of saving are you aiming to deliver using this technology’. Ask more questions and make fewer assumptions. Coach rather than seeking to control the buyer. Put aside any notion of trying to exercise control over the buyer. That means laying off on the use of what could be seen as manipulative selling, or closing techniques. Instead coach and facilitate the buyer by helping the buyer to clarify what he, or she wants to achieve and then helping them to achieve it. Be prepared to learn from the buyer. Find out what has worked and not worked for buyers in the past, including their past experiences both good and bad. Take extra care in closing the sale. Rather than using closing techniques to coach or cajole the buyer into prematurely making a decision, ask the buyer questions such as: What does he, or she want to do next? or ‘What extra information is needed?’. Find out where the buyer is at in terms of the buying process and help him, or her move to the next stage. Give them better information. Before off-loading lots of information on the buyer, ask what information is needed. Understand where the information gaps and enable buyers to be selective in terms of the information they review. Provide useful information, not marketing blurb, for example replacing brochures with white papers and case studies. 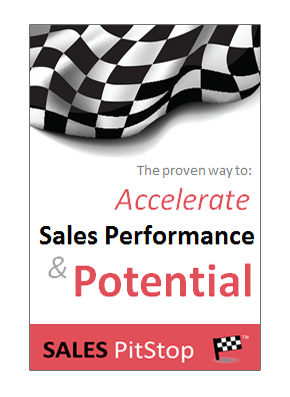 Adopt a more evidence-based approach to the sale, recounting the results achieved by others and leveraging third party validation. Simply adopt a more expert-led approach by employing subject matter/domain experts to bring some specialized information to bear on the buyer’s decision. Get the level of detail right. Senior managers are more likely to be focused on the bigger picture, that includes the issues of results, strategy, risk and performance. They are less likely to be interested in the same more detailed information that interests their lower level colleagues. Peer your team with theirs. The cross-functional buying team means you should peer-match those specialists on the buying team with your own. That means your CTO talking to their CTO, etc. It is too much to expect the salesperson to be able to communicate on the same level with all those from different functional backgrounds involved in making the decision. Give him/her space to decide. The more knowledgeable buyer won’t be rushed into a decision, so don’t try to rush him, or her into making a decision. For example agree in advance when you are going to follow-up on the information you have provided and wait until then. Don’t chase the buyer continually with unnecessary voice and e-mails. 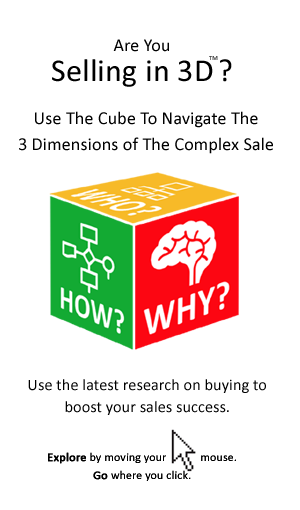 Don’t just provide the answers, help buyers to work out them out for themselves. Buyers that are more knowledgeable are likely to be cautious about information that is handed to them by vendors. That is unless they have been involved in its preparation, or analysis. Take for example vendor ROI models – the challenge for the salesperson will be to get buy-in, or ownership of any of the information that is provided.